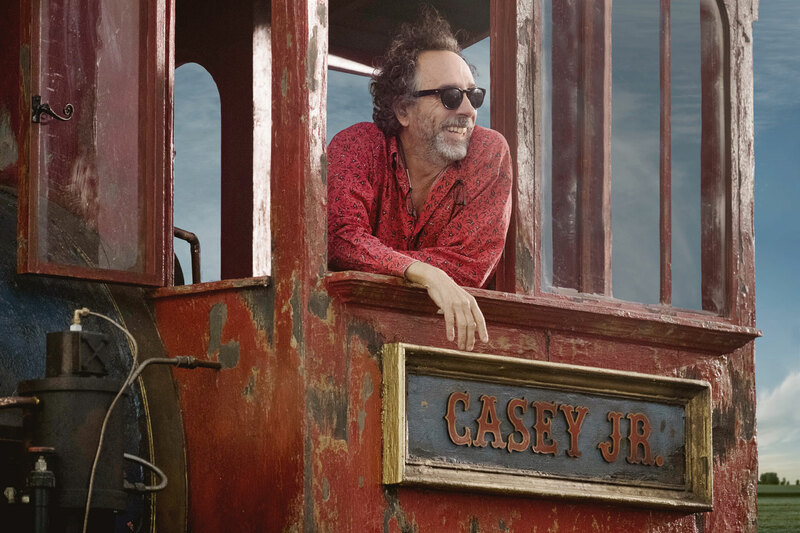 LONDON, England (July 15, 2017) — Production is underway for the live-action reimagining of Disney’s 1941 animated classic “Dumbo.” Directed by visionary filmmaker Tim Burton (“Alice in Wonderland,” “Charlie and the Chocolate Factory”), the film stars Golden Globe® winner Colin Farrell (“In Bruges,” “The Lobster”), Golden Globe winner Michael Keaton (“Birdman,” “Beetlejuice”), Emmy® and Golden Globe winner Danny DeVito (“Batman Returns,” “Big Fish”), BAFTA Award winner and Golden Globe nominee Eva Green (“Miss Peregrine’s Home for Peculiar Children,” “Dark Shadows”), and introduces Nico Parker and Finley Hobbins in their first film roles. The cast also includes Roshan Seth, DeObia Oparei, Sharon Rooney and Douglas Reith. Katterli Frauenfelder (“Miss Peregrine’s Home for Peculiar Children,” “Big Eyes”), Derek Frey (“Miss Peregrine’s Home for Peculiar Children,” “Frankenweenie”), Ehren Kruger (“Ophelia,” “Dream House”) and Justin Springer (“TRON: Legacy”) are producing from a screenplay by Kruger. Nigel Gostelow (“Miss Peregrine’s Home for Peculiar Children,” “Dark Shadows”) is the executive producer. “Dumbo” is slated for release on March 29, 2019. Disney’s new live-action feature film “Dumbo” introduces Holt Farrier (Farrell), a former circus star who finds his life turned upside down when he returns from the war. Circus owner Max Medici (DeVito) enlists Holt to care for a newborn elephant whose oversized ears make him a laughingstock in an already struggling circus. But when Holt’s children (Parker and Hobbins) discover that Dumbo can fly, persuasive entrepreneur V.A. Vandevere (Keaton) and an aerial artist named Colette Marchant (Green) swoop in to make the peculiar pachyderm a star. The creative team includes cinematographer Ben Davis, BSC (“Doctor Strange,” “Guardians of the Galaxy”), Oscar® winning production designer Rick Heinrichs (“Star Wars: The Last Jedi,” “Dark Shadows”), four-time Oscar®-winning costume designer Colleen Atwood (“Alice in Wonderland,” “Fantastic Beasts and Where to Find Them”), editor Chris Lebenzon, ACE (“Alice in Wonderland,” “Maleficent”) and BAFTA Award-winning make-up designer Paul Gooch (“Alice in Wonderland,” “Miss Peregrine’s Home for Peculiar Children”). Utilizing state-of-the-art visual effects to portray Dumbo and many of his four-legged counterparts, “Dumbo” will be filmed entirely in England, both at Pinewood Studios and Cardington Studios.